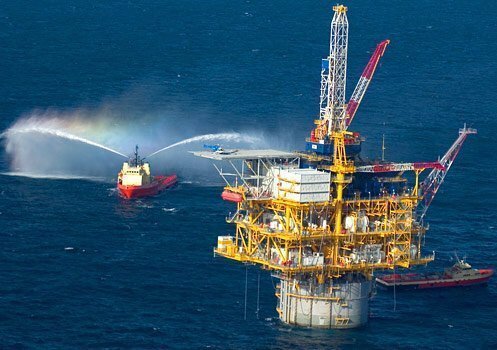 The US Bureau of Safety and Environmental Enforcement (BSEE) has released its findings from an inquiry into a fatal accident on an oil rig in the US Gulf of Mexico last year. An assistant driller for the Nabors Offshore Corporation died in the March 10, 2016 incident on a rig in Green Canyon Block 18. BSEE found failures in a number of safety issues. Primarily, the man was given an inadequate tool for the job of removing material (mainly cement) from inside the rig’s vertical Mud/Gas Separator (MGS). Also, the activity was carried out in adverse weather which compromised emergency response. Personnel assigned to the task were given chipping tools that were too short, necessitating the workers to stick their upper bodies into the MGS as they attempted to remove the obstructive material. This violated safety protocols. The victim died from injuries suffered when obstructive material fell on him while his upper body was partially inside the MGS. The bad weather caused delays to his medical evacuation and the man was pronounced dead on arrival at a medical centre onshore.